When it comes to fighting the horrors of trapping, Guardians isn’t just thinking big. We’re thinking billboard-sized. 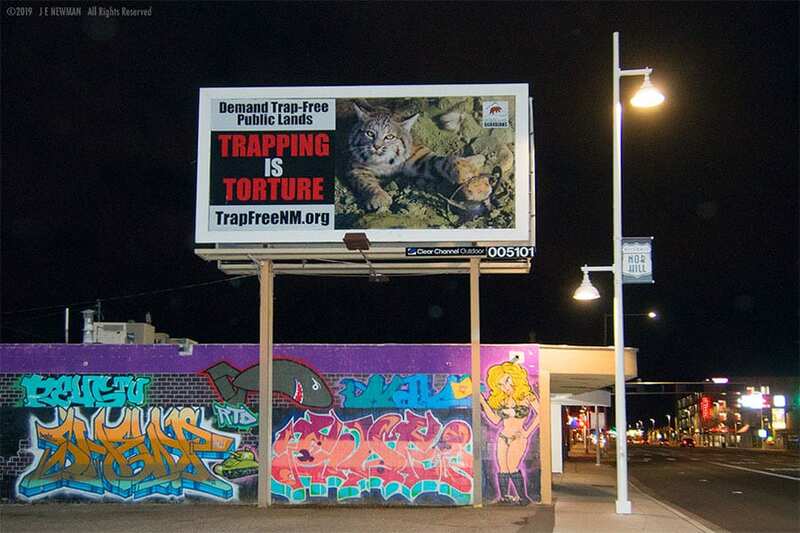 Drivers in Albuquerque and Las Cruces will confront a brutal reality of wildlife management via a series of billboards, bus shelter ads, and bus banners deployed by Guardians this January and February. 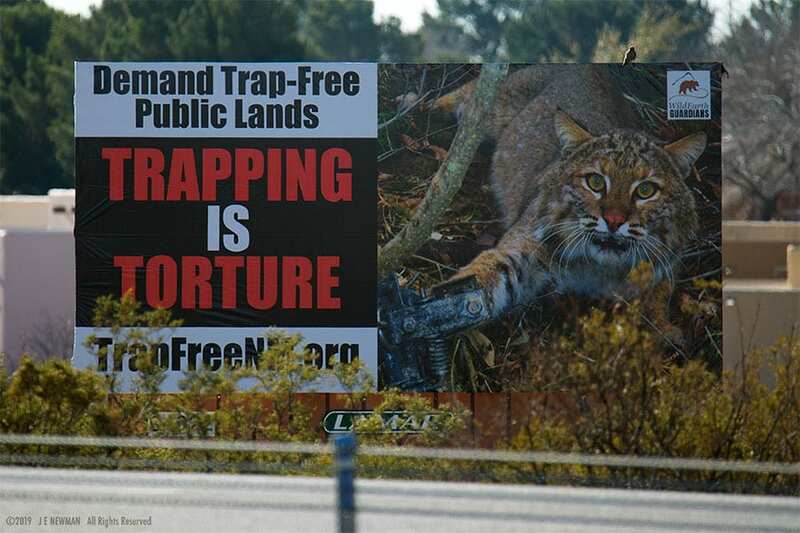 The billboards read “Protect Public Lands: Trapping is Torture” and include images of animals caught in traps. All photos by JE Newman. 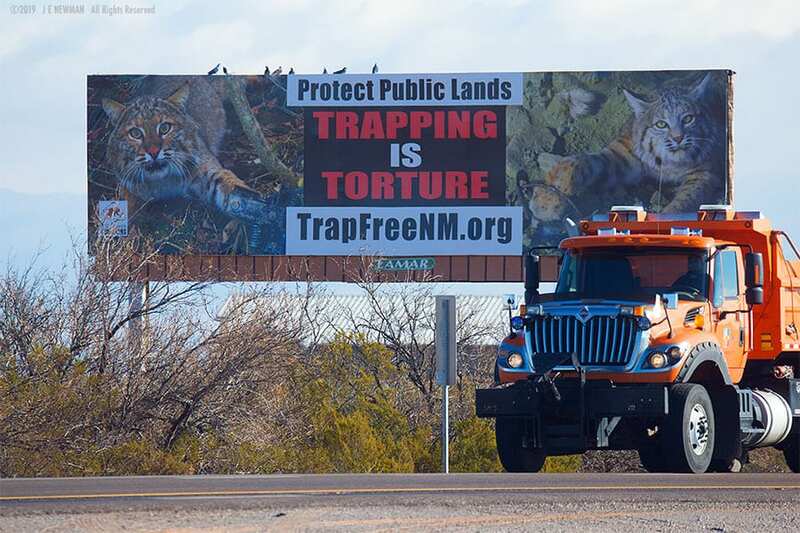 The billboards bring much-needed awareness to the dangers of trapping, which kills thousands of wildlife every year in the Land of Enchantment and was recently responsible for a number of incidents resulting in death and injury to pet dogs. With awareness also comes the chance to stop this horrific practice for good: during the 2019 New Mexico legislative session, a bill will be brought forward to ban recreational and commercial trapping on public lands.